It’s frustrating, but not broken. Most likely, somebody placed a powerful Moana in a relatively weaker tier to bait lower-level players into attacking and feeding arena currency. 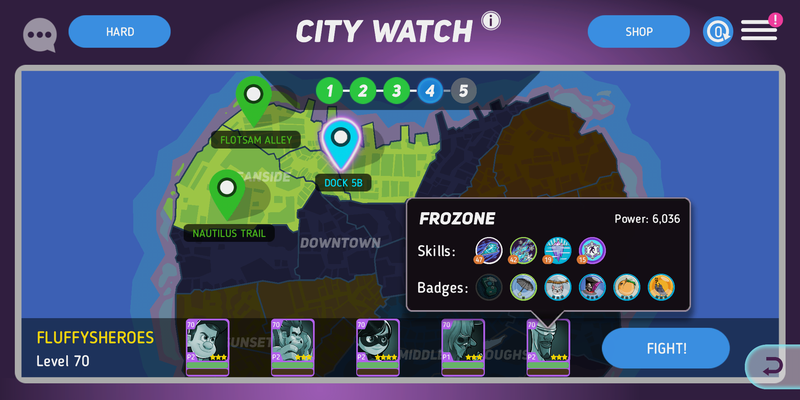 I recommend taking off all your disks from your toons before you refresh city watch. This takes off some power and lowers the craziness of city watch. There should’t BE a crazyness to start with. I gave up complaining to CS about inpropriate opponents. I don’t bother with city watch at all. 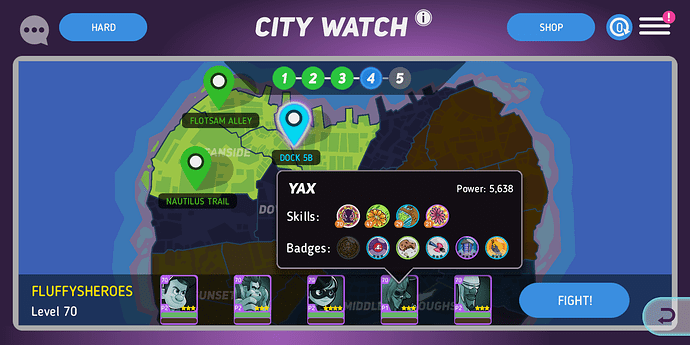 The devs force you to max out toons for city watch and challenges. Maxing out = Pay a huge amount of money. The community manager preaches not every toon needs to be maxed. Either way you’re out of options to finish and receive those coveted raid tickets. It doesn’t force u to max out characters though. If u do, it will scale appropriately, so it really doesn’t make much difference. Well I opened an account on S16 to play together with some ds folks. I managed city watch on hard mode maybe 18 times out of 30 last month. I leveled 15 toons to purple0 and 1 and it’s still not doable on a regular basis. No, I don’t have Olaf yet. 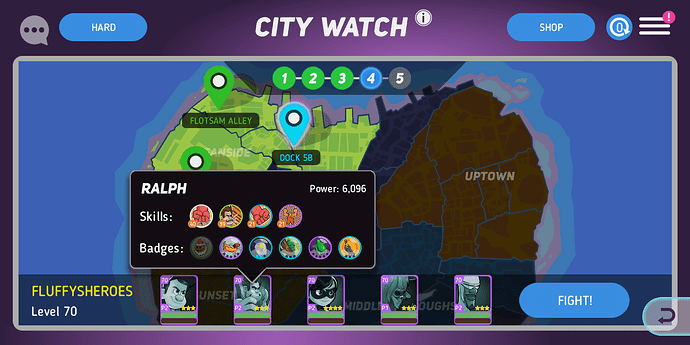 And it’s redicolous to face purple2 opponents even if they are badly skilled and match your own teampower in stage 2. Same stuff going on S5 where I face bad skilled O2 and O3 opponents with my perfectly skilled 01 toons. Well rounded what? Newest heroes that are completly OP? Sorry dude, I don’t even know what you want to express with this statement. Oh, well if your that early in the game then yeah of course it will be hard. it was hard in ds too at that kind of level. At that point u dont deal enough relative damage/fury or have enough relative healing to consistently stay healed and charged up. By well rounded i mean that u don’t have a couple of maxed out heros and then everyone else low, cause that will skew your top 5 power and give u difficult battles u don’t have the depth to beat. An even top 15 or 20 makes it a lot easier. Good for you. Still lots of people do have problems and this workaround to dismantle discs before you start the run is just this, a workaround. A balanced game shouldn’t work like this. I find it a very strange perspective on things to state ‘Well, I don’t have this problem so it’s not there.’ Like in war the opponent matching isn’t consistent, maybe some devs should take a look into that just to be sure that everything works as intenteded. That’s not to much too ask, is it? Well that above is just not true ^ it looks at your top 5 power. u will do much better with a good top 15 than just 5 maxed out heros. 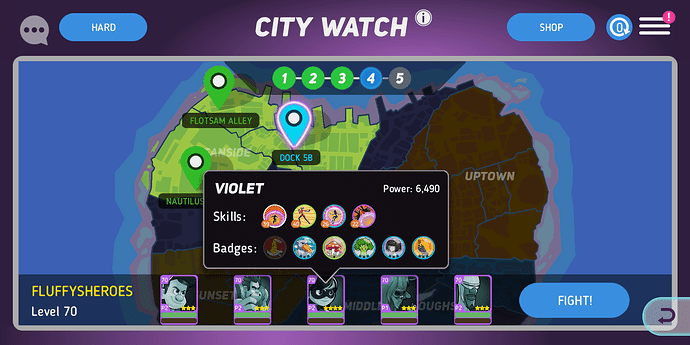 And equally to your point, your saying u cant do city watch, therefore it’s broken. ? If the opponents Power is scaled, by your top 5 Heroes, why are they that much weaker, when you remove all Discs, instead of only your top 5 Heroes Discs? Just wondering. Here we go. I will add some screenshots. This is stage 4. I barely made stage 3. I’m currently level 63. I could promote 2 heroes to P2 but only equip them with 1 item. No use doing that bc they will be weaker then before. My top 8 toons including Nick are skilled but without discs currently. No way to get past this stage. City Watch is lost for me today. Those teams aren’t nearly as tough as they first look, because all their skills are so low. I don’t remember for sure but I don’t think I could comfortably do CW on hard at level 63 (if I could complete it on hard at all). It might be that you have to resign yourself to doing it on easy (or switching to easy before it gets too difficult) until you have a more powerful lineup to tackle it. Failing that, try using the early stages to fill the power bar for some other heroes. Then if you hit a fight that you struggle with you have an option of going in and instantly trigger some shields or healing. I decided to do hard as much as possible because I recognized a void of disc power on S5. Not in early game ofc but later, if you head to lvl 95/100. So I decided to go after that asap. Getting and leveling Olaf made the sitution slightly better. Always to rely on PerBlue on releasing some OP toons, lol. But matchmaking is still bad. Now, that P 3 is released I get that in the last stage. Not getting past it with P1 heroes. Again, I don’t expect it to be easy. I just expect a matching that is balanced and not only considering total power but the avareage promotions. Can’t be that difficult to expand the algorithm with some more digits, can it? Don’t be afraid, PerBlue. I will still be leveling and improving my toons and will buy some of your deals now and then.